Fifth-grader Devin Johnson knows people will have questions. He would rather they just ask him instead of whispering under their breath or behind his back. 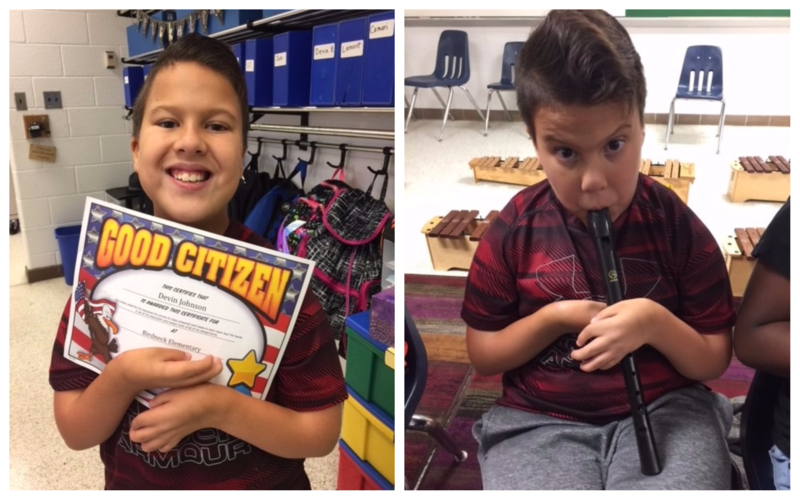 He’s experienced both at other schools, which is why he asked his teachers if he could host an assembly for all of his fifth-grade peers. 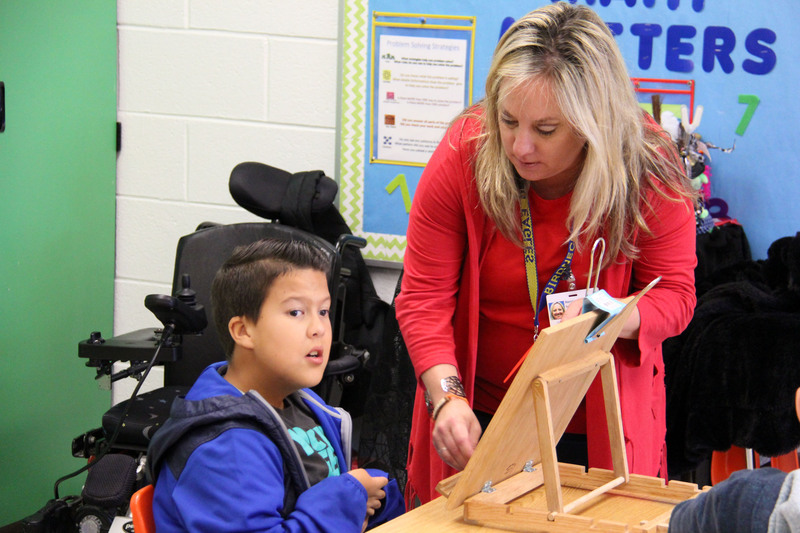 New to Birdneck Elementary School and to Virginia Beach, he wanted to provide answers right from the start. Johnson also told them that he plays power chair soccer and wants to play on Team USA. He’d like to be a sportscaster, too. Robin Meyer, a special education teacher at Birdneck, remembers Johnson’s command of the room. Watching her son play ultimate football in PE with his classmates, Johnson’s mother Mariah Gifford also noted his desire for independence. When he’s not watching sports at home, he’s thriving at school. “It’s been amazing,” said Gifford. “He’s in student council already. He’s involved with music. He’s in math tutoring, and I’m excited that he’s even opened up to receive that help because he wants to be very independent. The respect is mutual from Birdneck staff. Johnson is known for a common response to new situations: I’ll figure it out. Assistant Principal Allison Jordan praised her teachers for working hard to “figure things out” right along with Johnson and his family. That was Meyer, whose dad does woodworking. After seeing the number of different slant boards to use for different angles, Meyer asked him about creating a single adjustable slant board. Just like Johnson always says, they figured it out. Johnson has another message to share. 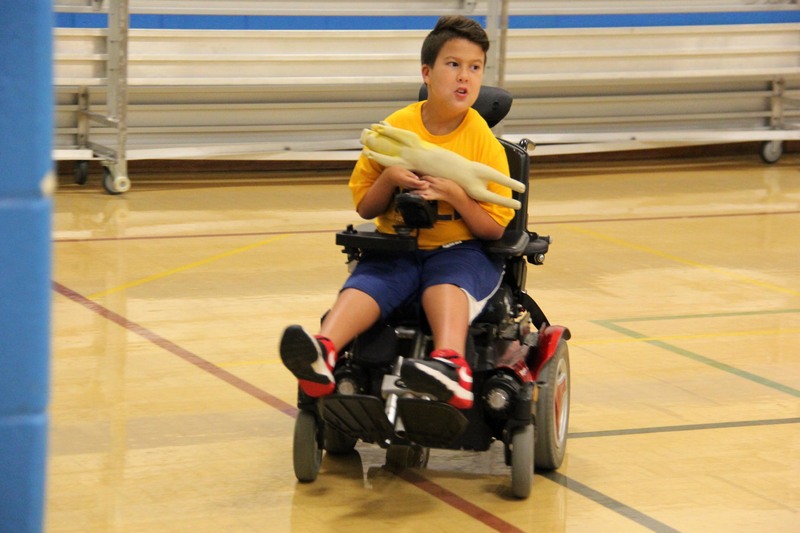 Johnson plans to show how cool playing power chair soccer is when some of his teammates visit Birdneck for a demonstration in PE class. Following the assembly he led earlier this year, Johnson’s soccer demonstration will help build even more awareness among his peers and staff members. Devin thank you for sharing and helping us to learn about you! I look forward to your future career as a sports commentator or even a sports journalist. Maybe when you get to middle school you can use your sports knowledge to be a team member of your school’s news anchor team for morning announcements? Welcome to Virginia Beach! Devin says thank you! (I’m mom). He currently does morning announcements and LOVES it! GO Devin! you are amazing. 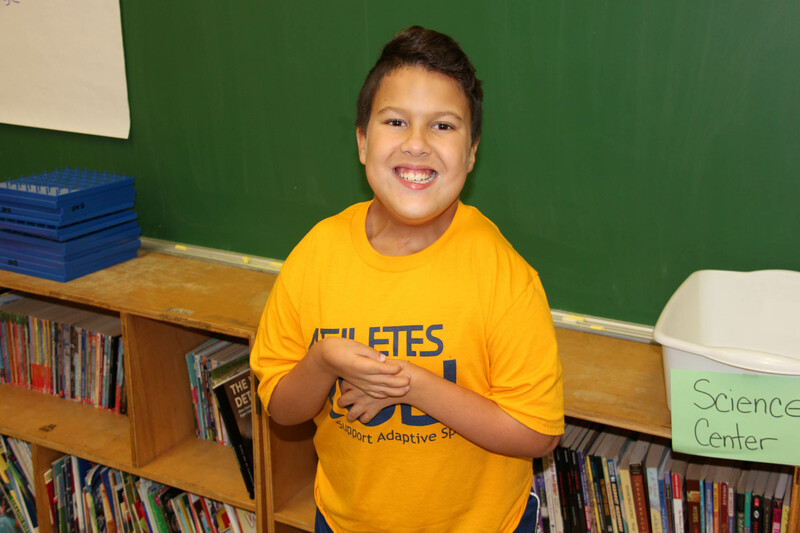 Devin – I wish more people, children and adults alike, had your amazing attitude about life. You face challenges every day that I can only imagine, and you do so with a spirit of joy we can all do better to emulate. Thank you for sharing your story! What a special person you are, Devin. You need to be a speaker at other schools so those students can benefit from your wonderful outlook on life. I loved your story . so proud of you.